Professional networking site LinkedIn reached the 200 million member mark on Friday, with more and more signing up to the site all the time, making it one of the fastest growing social media sites in the world. Bearing this in mind, I thought I’d share a few tips on how to get the most out of LinkedIn, for companies and individuals alike. Firstly, it’s important to remember that LinkedIn is a network for professionals and so the tone you use on your profile should be relatively formal, rather than the kind of updates you would post to Facebook. Secondly, LinkedIn is great for getting found in search, so it’s important to ensure that you have optimised your profile for SEO. A company should not only create a company page on LinkedIn, it should also create groups and ensure that all of its employees are involved and on the network. This will allow your message to be spread much more effectively than a page/group alone. – Ensure employees are on LinkedIn, with a fully fleshed-out profile, following the company, as well as listing that they work there. – The new Products page then allows you to assign employees to various product offerings so that they can help to showcase them. For maximum benefit, it’s best to assign a number of products or services to each employee and let them take charge of it. – The company and employees should then go on to ask for recommendations; use customers and employees to carry this out so that you can get as many products or services recommended as possible. – You can also place videos on the Products and Services page so ensure that you demonstrate some of your products in this way. Put them alongside product descriptions for maximum visibility. – Use the Promo/Offers box on the product and services pages to include special offers, competitions, discounts etc. try to mix this up as much as possible and include links to drive more traffic to your website. LinkedIn Groups are a great way to connect with customers and gain insight into what they want. It’s an opportunity for companies to become thought leaders on their industry. Again, this is something that employees can be involved with and discussions can take many forms, including polls. Ensure that you use keywords that relate to your products or industry in the group titles and discussions so that they show up in search results and ensure that the groups are monitored all the time. Assign one employee to monitor and answer discussions, preferably one who knows the company inside out. Groups are ideal for B2B companies to locate services and products that they need and as such, it’s important to participate in groups that relate to your keywords. This will raise the company profile and drive people to your own group, as they get to know you and respect your opinions. Groups can also be used to post links to your company blog and articles, giving more exposure to your content. – A summary written in the first person which should include keywords and be a little informal. This is where a personality should shine through and if you have one person within the company who is a whizz at writing, then let them fill this part out for everyone. – Under Specialities list all skills, one on top of the other for ease of reading. Ensure that there are plenty of skills listed here. It’s also possible to claim a unique URL so that it can be included in email signatures. However, you can also use the Outlook Connect tool, which is an add-on that allows you to see everyone’s LinkedIn updates when they email you, assuming they have a profile themselves. It’s vital to ensure that everything on profiles and pages that can be filled out, is. Include as much information as possible and ensure CVs are uploaded. The better a profile and page is filled out, the better it will show up in search results. Get as many positive recommendations as possible for employee profiles and the company page in the form of reviews. This contributes towards social validation about your company. Also keep an eye on the updates you receive through email from your connections. These represent a great chance for you to get involved in discussions and reach potential new customers. LinkedIn Answers no longer exists unfortunately, as this was ideal for promoting yourself and company as thought leaders. However, there are still groups, so make sure you use these as much as possible and ask intelligent questions in order for people to notice and respect your opinion. 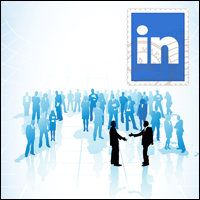 Don’t forget to include events on LinkedIn, such as for any webinars or even physical events. This promotes additional visibility and sharing and you should encourage all employees to RSVP the event and share with others as much as possible. Social media is a powerful tool and LinkedIn is the most powerful out there for promoting individuals and companies in a professional manner. It’s not as ‘friendly’ as Facebook, Pinterest and Twitter, but it’s every bit as, if not more, useful and not to be ignored. Learn more about social media and SEO by getting in touch with one of our experts.